Previous PostThe Power of Purity Meditation arrives in Chandigarh!Next PostBTW Serbia – All FOR LOVE! Thanks to you for sharing the wonderful experience of Lord Hanumanji’s blessings!!! Myself with my friend Mr. Suresh met our great Mohanji yesterday and he too narrated the whole story. It’s really amazing . Mohanjee, thanks for the wonderful evening and no hesitation to say that you are ” great” indeed!!! Many thanks to Mohan ji for teaching us 24×7 through so many ways. In modern times, people do need these miracles to believe that there are forces beyond their limited cognition. “Except ye see signs and wonders, ye will not believe.”-John 4:48. Thanks Deepali ji for sharing this piece! I am anxiously waiting for the Hanuman Chalisa now! 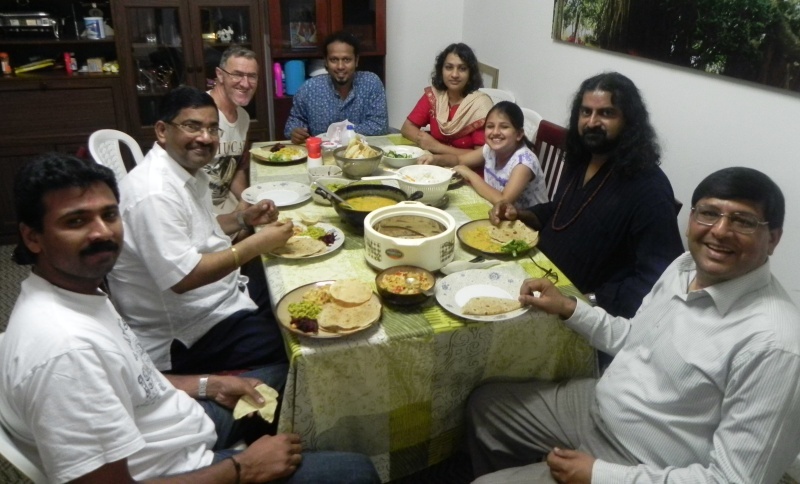 Our deep gratitude for sharing this divine experience with all of us! We are eagerly awaiting the release of the CD! Belated Happy Birthday to your daughter! All of you are so blessed to be in HIS presence!! I can feel the presence of Mohanji and still remember under mohanji’s instruction 2years ago,when the Hanuman chalisa recittion started, The obstacles of my daily life has started reducing and the work related activities also became more and more active and efficient. What a detailed and wonderful description you’ve given. We all are waiting eagerly for the release of CD where we can hear our dear Mohanji’s voice chanting the Hanuman Chalisa. 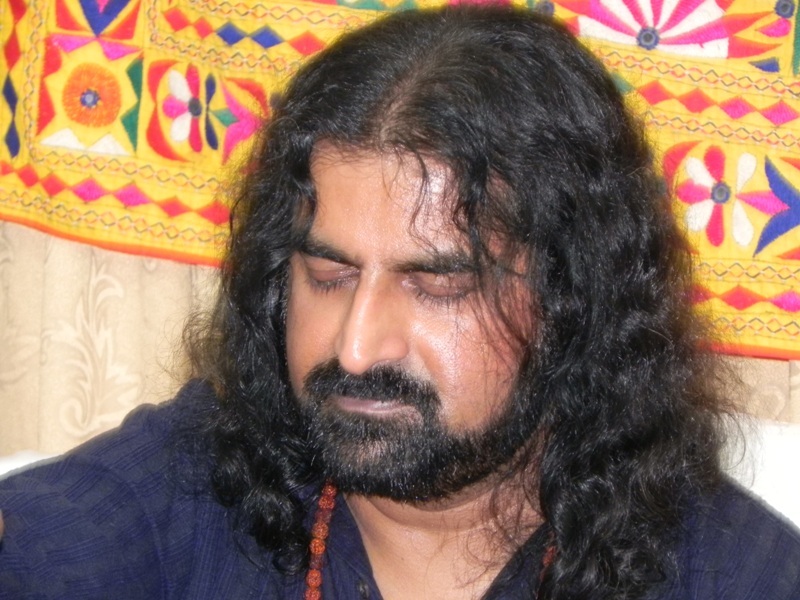 Thanks Guruji for being with us and protecting us all the time. Om Sai Ram. Wow! Can’t wait for the CD. That’s great news! Thank you, for being profound inspiration Mohanji! Thanks for sharing Deepali! When i saw the shendur saffron powder i was just PUZZLED that what can this be????? when mummy told me that it is shendur and that is the sign of Hanumanji a very blessed joy erupted in me!! 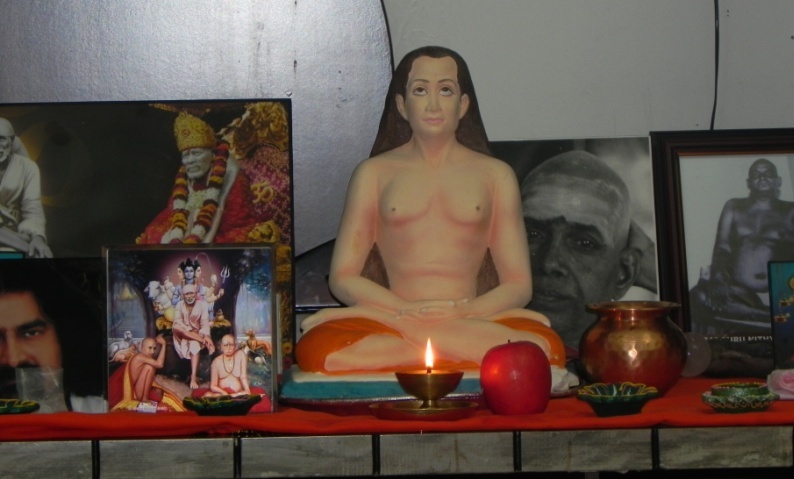 thank you Mohanji,Baba,Hanumanji and all the othre Masters for this wonderful birthday i will never forget!. THANKS FOR SHARING THIS BEAUTIFUL EXPERIENCE WITH US. THANKS MOHANJI FOR BEING WITH US AND BLESSING US ALWAYS. THANK’S FOR UR KIND SUGGESTION .HOPE U WILL LEAD US IN COMING TIME. Thank you so much for sharing such a beautiful experience with all of us. Hi, being a human i am off course curious to know more about Mohanji, and if you have experienced so many miracles at a time then this is something that i am very much interested in. I am looking for a reason behind something. May i know how can i get in touch with respected Mohanji. And also, Deepaliji, can you share those beautiful chant in Mohanji’s voice with us. I am sure all of us who visit your site will be very thankful to you and Mohanji. REALLY GRATE TO LEARN IT…………..I AM A TRUE BELIEVER OF HANUMAN………..HANUMAN INFACT SHOWED ME PATH OF SUCCESS WHEN IA M IN OBSTACLES, HEALTH PROBLEMS AND MANY MORE..DEFINATELY THERE WILL BE A DIFFERENCE AFTER CHANTING HIM. I HOPE IT SHOULD BE RECITED EVERY ONE. Promoters of spiritual actvities should always think of common man first. Today common man is facing unbearable problems on all fronts. He must be shown a way as to how to solve problems through hanuman pooja etc., Only then common man who is a major part of the population will turn his head to hinduism. bolo siya pate ram chandra ke jay pawansut hanuman jee ke jay!!!!!!!!!!!! guys i also felt lots of time till date whenever i am upset or in problem i remember hanumanjee and i get the solution which is very true for me. 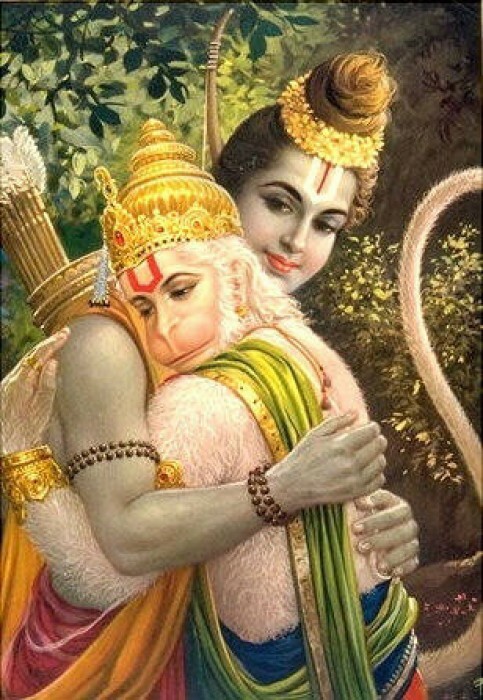 jay sri ram jay mahabali pawanputra hanuman!!!!!!!!!!!!!!!!!!!!! 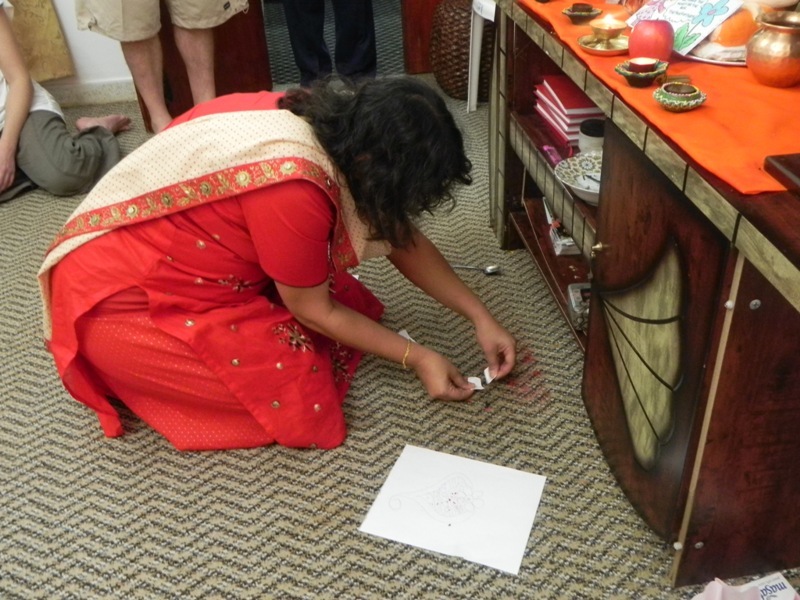 Dubai atleast 3-4 times in a year and conduct poojas. You can experience Hanuman though him. If you wish to know more about him kindly visit http://www.vikraman.com. I also would like to see Mohanji if I get a chance and if Hanumanji so decide. For sharing such a wonderful experience .I came to know about mohanji through this article. 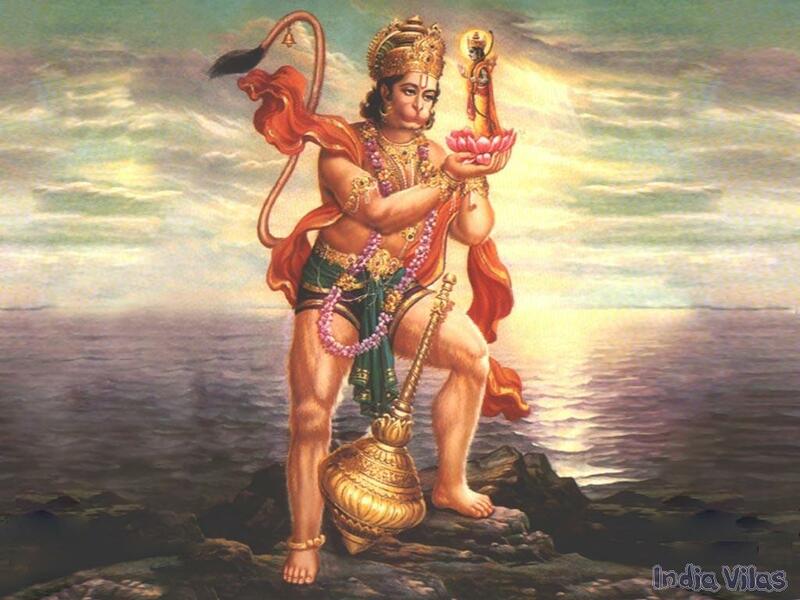 Hanumanji please me to full fill my wish….. Thank you for an amazing article. I stumbled upon this article immediately after listening to Hanuman Chalisa in Hari Om Sharan ji’s voice. My heart goes out to the lucky few who witnessed the miracle. All we can do is relive the same miracle though the chants recorded. I would love to listen to the Hanuman Chalisa sung on that day. Is there a link available? Thank you so much Deepali for sharing this wonderful experiance. SAI RAM !!! SAI RAM !!! SAI RAM!!! Hey Raam, Siya Raam Siya Raam Jai Jai Raam….Hey Raam……..
_/\_ Humbly Gratitude and prostration at the lotus feet of “Param Parbhu Shri Ram Bhakt “Lord Hanumanji ( through Shri Jatu Maharaj & Nilkant Sir ) because of whose Grace i ‘m born twice and become part of this Spiritual family.which paved way to meet Sadguru Mohanji (Lord Shiva).Anybody who recities “Shri Hanuman Chalisa” relentless with faith and purity Lord hanumanji protects n blesses and push you towards high consciousness. Words fall short to express the gratitude n surrender i have for all the Spiritual Masters who r protecting and guiding Sensitive Robots (Courtesy Dear Dr Deepali Amma) like us to know who truly we are (Eternal Soul / Love incarnation/ ) n towards path of Liberation. Hanumanji has always meant the world to me. My most sincere regards to Sh. Mohanji. mujhe ye padh kr bahut acha feel ho rha hai. I have brought lord Hanuman idol and perform Pooja on the Hanuman Jayanti day, i.e on 25th April. 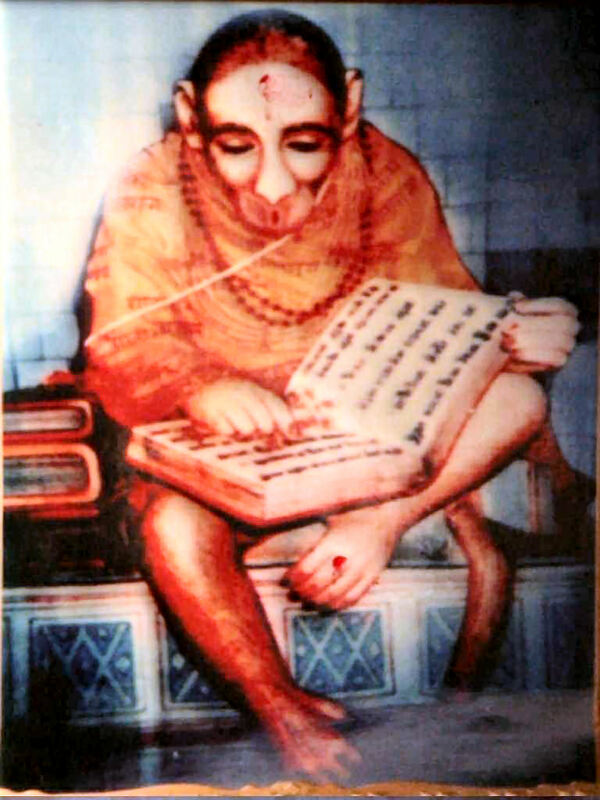 the tail is at the top indicating Veer Hanuman. I am also offering Sindoor Chole on every Tuesday from head to toe enchanting Manojjvam Maruttulya vagam mantra. Please guide me if I am making any mistake. Also 48 dya tail pooja I did not understood. 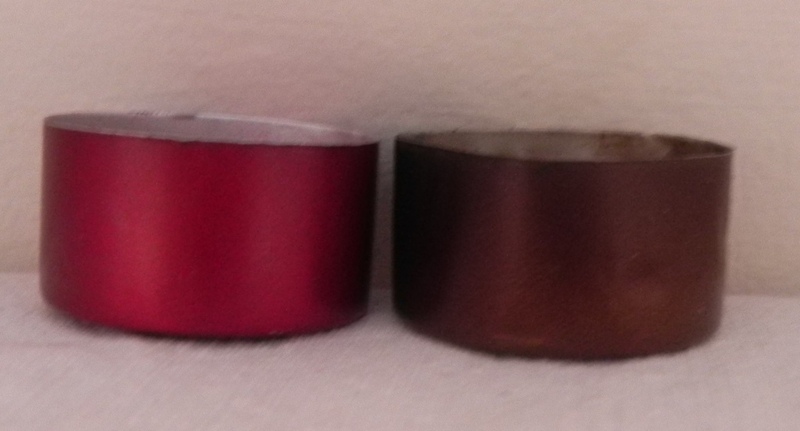 whether sindoor with chameli oil to be applied from the starting point of the tail or at the end of the tail. 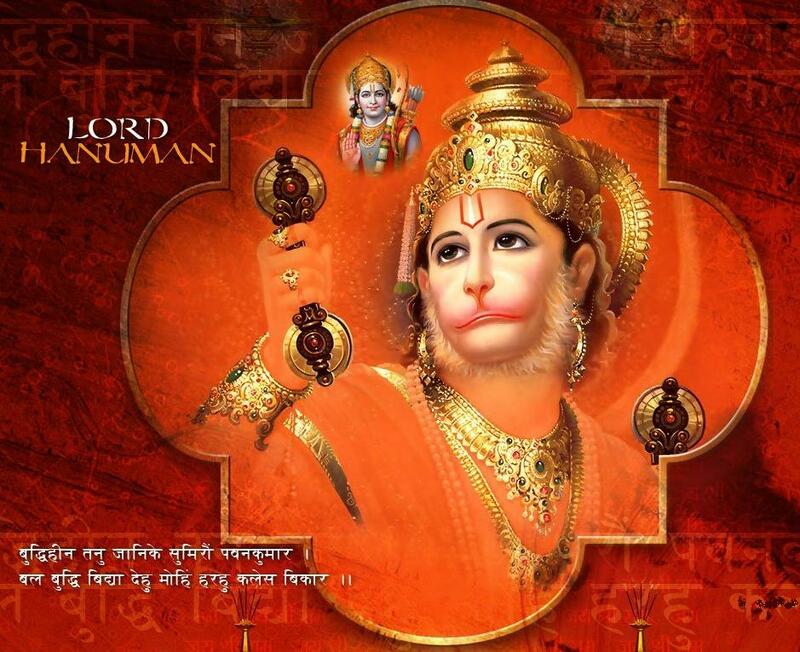 I wish to start continuously for 48 days by enchanting Hanuman chalisa and Bajrang Baan. Kindly share more details, I will be ever indebted. 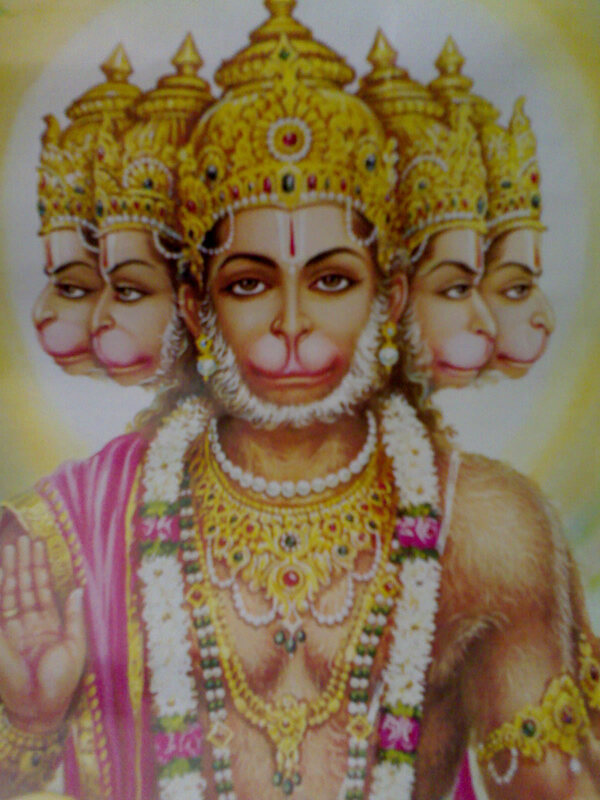 thank you for sharing hanumanji’s valuable miracles, really i flet very happy while reading. now i got more strength to face my problem in my life. even i read hanuman chalies every day. i hope & belive lord hanuman will be with me till my life end. i was in great trouble … i almost lose some one but after going to hanuman mandir on tuesday and chanting hanuman chalisa i am recovering it again …. 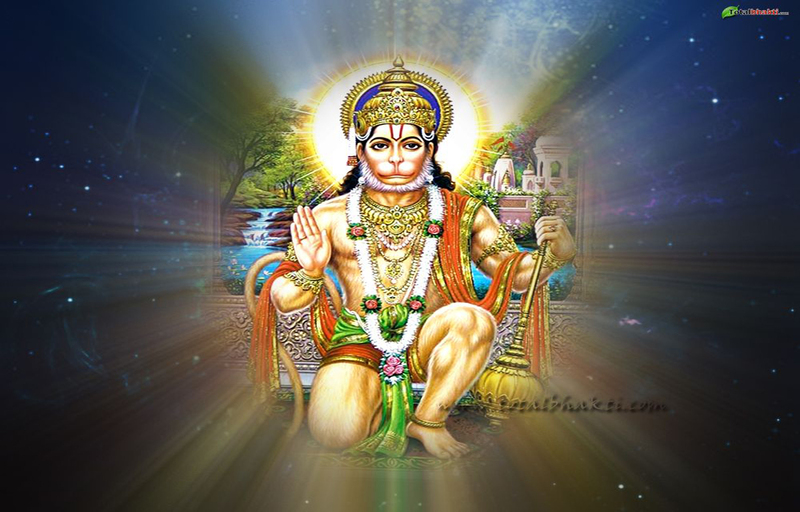 yes i have great faith on hanumanji i know he will solve all my problems…. thank you deepali sister . I had great faith in hanuman, Since i got job by going every thursday to hanuman temple. I want hanuman mantras for my health, wealth and future, kindly know any CD available. Please Read Hanuman Chalisa many times.At least once’s a dey . You will get courage , all your dreams come true. you will get blessing from Hanuman. Lord Hanuman is my Guru and I remember when ever I am free and that is way my confidence level is good and stop me for any of my wrong action . Great to read all this about hanuman ji . one fact i wana add that Hanuman ji Once Applied Sindoor All Over His Body for Lord Rama’s Long Life. because Sindoor is Symbol for wellness and protection of husband of any indian Hindu women. I do not deny the power of Hanuman Chalisa and grace of Lord Hanuman but knowing Hanuman Chalisa by heart is pretty common even with small kids especially in Northern India. Jai Hanuman.The best time to recite hanuman chalisa in the morning and at night. Those under the evil influences of the Saturn should chant the Hanuman Chalisa at night 8 times on Saturdays for better results. Thanks for sharing … its amazing post and i listen hanuman chalisa and bhakti songs from bhajan app everyday.